Like the ULTRA series for Sony E-mount, the new Speed Booster ULTRA m43 uses an advanced 5-element 4-group optical design incorporating ultra-high index tantalum-based optical glass. However, the new design is specifically optimized for the Micro Four Thirds sensor and filter stack, and as a result achieves an astonishing level of performance that sets a new standard for focal reducers. 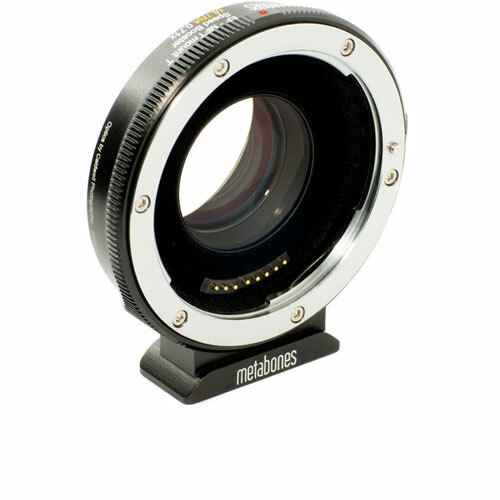 Metabones Canon EF Lens to Micro Four Thirds T Speed Booster ULTRA 0.71x is available for rent or hire from RENTaCAM Sydney.